The ouroboros is an ancient symbol depicting a serpent or dragon eating its own tail, a symbol of cyclical time, a continual renewal of life, death and rebirth, a widespread symbol of the "All-in-All", the totality of existence, infinity, and the cyclic nature of the cosmos. 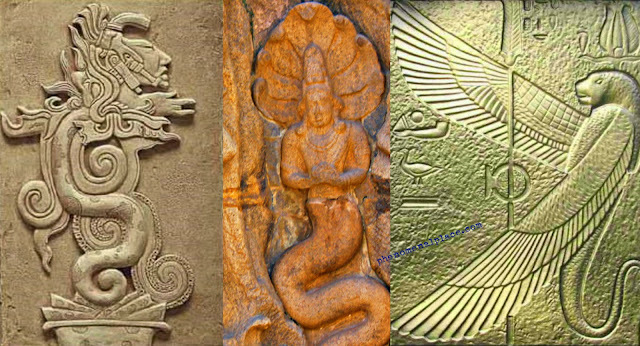 In Gnosticism, this serpent symbolized eternity of the soul. The serpent was one of the earth-animals associated with the cult of Mithras, as well as the Magi. 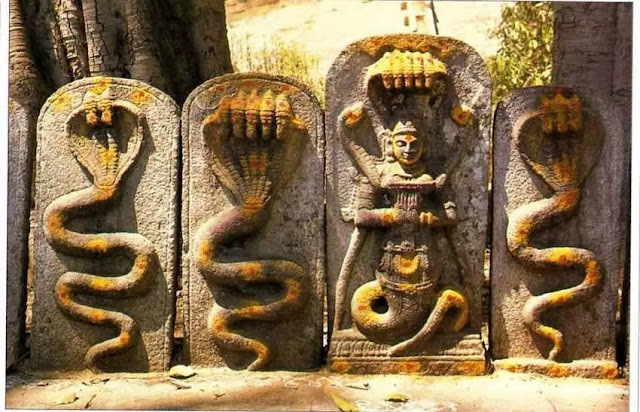 In Hinduism, Kundalini is a coiled serpent, the residual power of pure desire. "Kundalini" refers to the energy of yogic awakening, leading to altered states of higher consciousness.